tnerships, so we get a share of the revenue from your purchase. With the release of Ek Ladki Ko Dekha Toh Aisa Lagatoday, we can’t wait to watch Anil Kapoor, Juhi Chawla, and Sonam Kapoor on the silver screen. In the past week, we have seen them making quite a few style statements as they went around promoting the film. Juhi Chawla was seen wearing a lot of chic and stylish clothes. Just yesterday, the actress gave us a simple lesson in how to come up with a fusion look. Get a dress. Get an ethnic looking statement jewellery. Wear them together and you are good to go. Check her look out. If you want to wear a similar look, here are a few dresses you can consider getting for your wardrobe. If you want to wear similar colours but a different style of dress, go for this Hannea asymmetric, colour blocking dress. 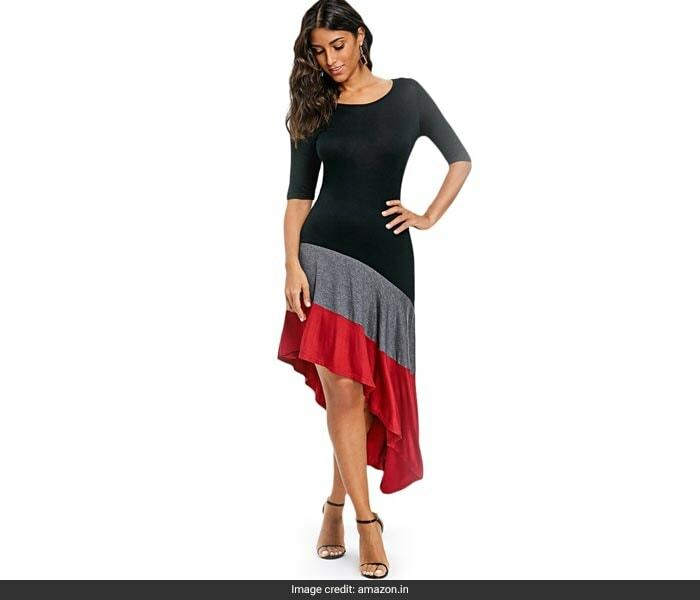 You can wear this dress for a casual day out as well as for a party. Priced at Rs 2,055, you can get this here. 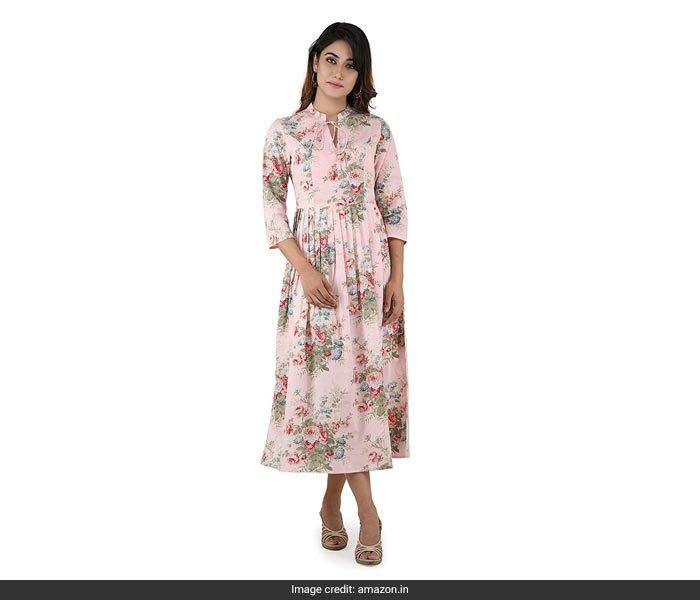 If you want to go for something more ethnic looking, get this ANAYNA cotton long dress. 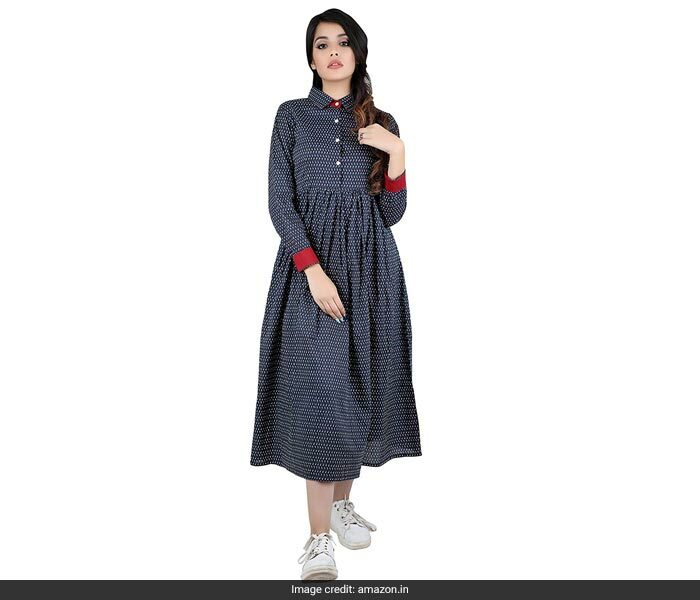 This navy blue dress comes with a shirt collar. The red cuffs of the dress add an extra touch of style. Priced at Rs 998, you can get this here. 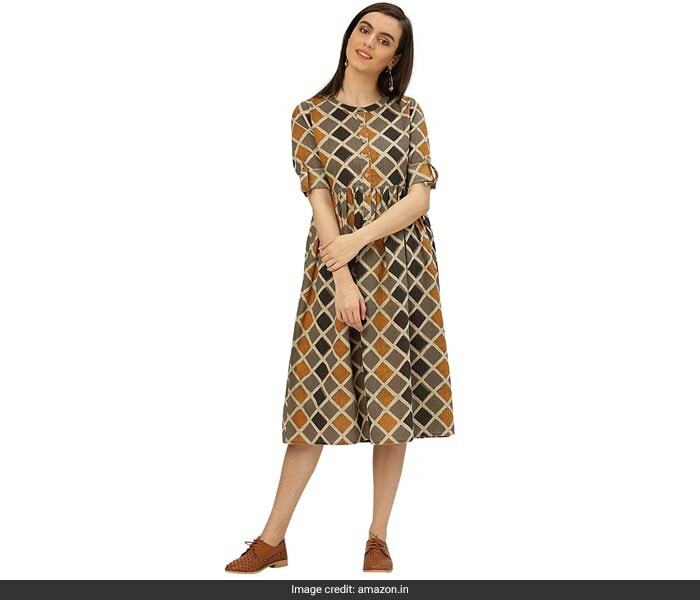 Even this Desi Fusion A-line geometric printed cotton dress will make for a very trendy and stylish addition to your wardrobe. This kantha dress will be quite an earthy piece to get. Wear this with a navy blue blazer for the complete look. Priced at Rs 999, you can get this here. Want to channel some floral vibes just as you wear a fusion look? Get this ANAYNA pleated long dress. Perfect for summer, this dress can be styled in multiple ways. Think of wearing it with a spring stole. Priced at Rs 998, you can get this here. 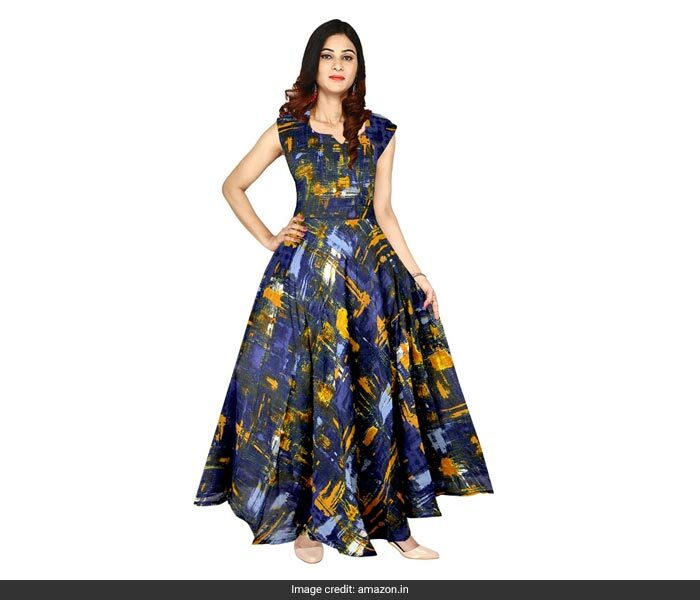 Lastly, this JWF rayon digital printed dress is something you should get if you love to nail a vibrant and colourful look. Priced at Rs 527, you can get this here. Check out some statement necklaces and earrings while you are at it. Happy styling!